You may merely enjoy the pampering and relaxation you feel when receiving a facial treatment, but there are a multitude of other benefits that offer you and your skin health and wellness. 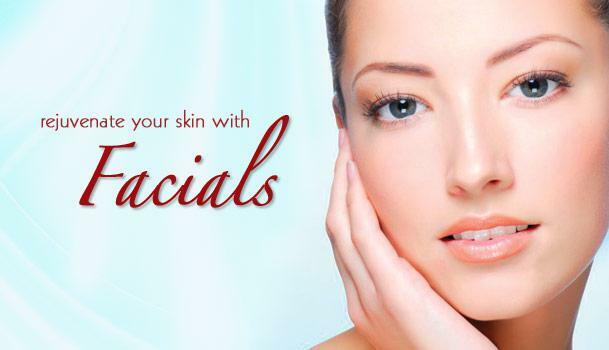 Facial treatments help elleviate stress, life is busy, hetic even. Most of us don’t take nearly enougth time out for ourslves, to do something that elliviate stress and help us regain balance. Spening an hour in a peacefull, relaxing enviroment can help store balance to your mind, as well as your skin. Some facial treatments are designed to deep clean the skin while others offer moisturizing benefits, and still others offer help to relieve stress. By getting regular facials, we promote cell turnover, boost collagen production and maintain healthy skin balance–all of which are great anti-aging remedies. Choosing the right kind of facial treatment depends on your skin type. The cell production and circulation slows down in mature skin and exfoliation is essential to help get rid of dry and dull looking skin. Generally mature skin tends to be on the dry side, so a deep moisturizing mask will restore suppleness and moisture, This should be followed with a massage technique that stimulates circulation and tones up the muscles. At the Hub we recommend the hot towel shave for teenage boys (who are shaving) and the mature man with acne prone skin as this treatment involves hot towels and skin exfoliation followed by the correct moisturizers. If you’re investing in a good quality facial, make sure you get your money’s worth. so when you get a facial, make sure you maintain the results. You can’t expect the results to last if you go home and sleep in your make-up or wash with a bar of soap. You have to use a cleanser and moisturizer for your skin type and season of the year. At The we only use Clinic care and Fusion products. These natural amazing products are animal and chemical free and are vegan and vagan friendly. We have a range of creams an oils to suit all skin types.